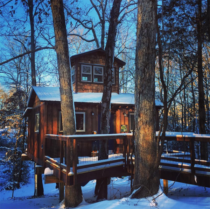 A very romantic and cozy treehouse! A hotel room that wraps around the trunk of a century-old oak, in France. 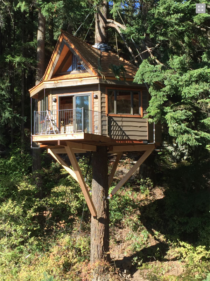 If you are looking for an eco friendly holiday in the South of Brittany in France, you could sleep in one of these wonderful treehouses. Have you ever slept in a Banyan Tree surrounded by monkeys? If not, you should keep on reading! 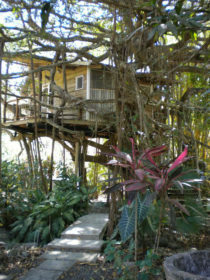 A treehouse and the Caribbean Sea: a dream that can come true! 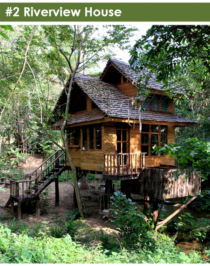 If you are in the north part of Thailand, you should definitively think to sleep in one of this treehouses!